Celebrate the Lunar New Year at Panda Express! 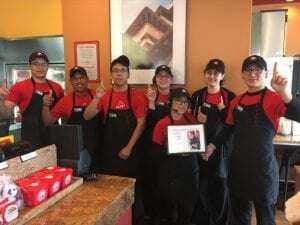 We love our friends at Panda Express! February 5 marks the beginning of the Lunar New Year, or Spring Festival, and the Year of the Pig in the Chinese zodiac. The celebration dates back thousands of years; more than 20 percent of the world celebrates the holiday! Another tradition of the Lunar New Year is the giving of red envelopes, called hong bao, in Mandarin. These monetary gifts are presented at social and family gatherings to children and unmarried adults during the Lunar New Year. The color red symbolizes good luck and is said to ward off evil spirits. Bring good fortune to your family this year by visiting your local Panda Express! 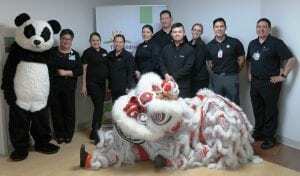 Celebrate the Lunar New Year, beginning February 5, by making your own red envelope donation at registers to help kids treated at The Children’s Hospital of San Antonio. 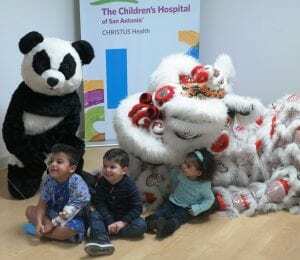 In 2018, Panda Express employees and customers donated more than $267,000 to The Children’s Hospital of San Antonio. Funds raised help support programs, equipment, research, and so much more for our kids! Thank you to everyone who contributed; We are so grateful for your support! 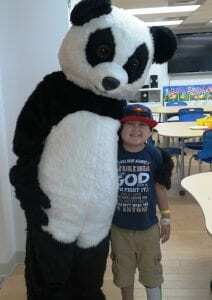 To learn about how you can make a difference for The Children’s Hospital of San Antonio, please visit ChildrensHospitalSAFoundation.org.